Senior computer engineering major Cimone Wright was one of six statewide winners of this year’s Alliant Energy/Erroll B. Davis Jr. Achievement Award. The awards will be presented at the Diversity Catalyst Award Reception, Tuesday, April 15 at the University of Iowa Memorial Union. 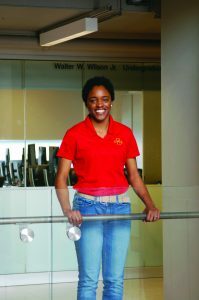 Wright, who was encouraged to apply by LeQuetia Ancar, Iowa State’s Multicultural Liaison Officer, will be presented with a $4,500 scholarship at the ceremony. To be considered for an Alliant Energy/Erroll B. Davis Jr. Achievement Award, a student must be a senior business or engineering major at a Regent university, be a member of an underrepresented group, and receive two letters of support from faculty members or advisers. After graduation, Wright will pursue a Ph.D. in human-computer interaction. She has logged research hours with Tien Nguyen and Morris Chang, both associate professors in the Department of Electrical and Computer Engineering. In addition to her research goals, Wright has been very active in STEM education outreach, specifically to African Americans. 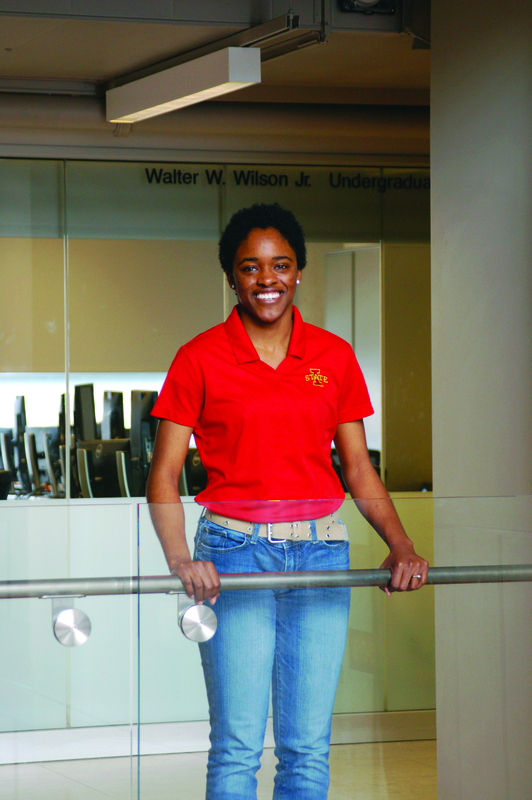 Wright’s outreach activities take her to a variety of schools – but not just high schools. The senior says she prefers to speak in front of younger crowds in order to make an earlier impact. Wright’s outreach activities correlate with the goals of the Alliant Energy/Erroll B. Davis Jr. Achievement Award, which was created by Alliant Energy to honor Erroll B. Davis, Jr. and his nearly 30 years of service to the utility industry. The award seeks to honor and recognize the importance of scholarship and leadership by underrepresented minority students in the state of Iowa.